2 Piece Custom Invitation Set. 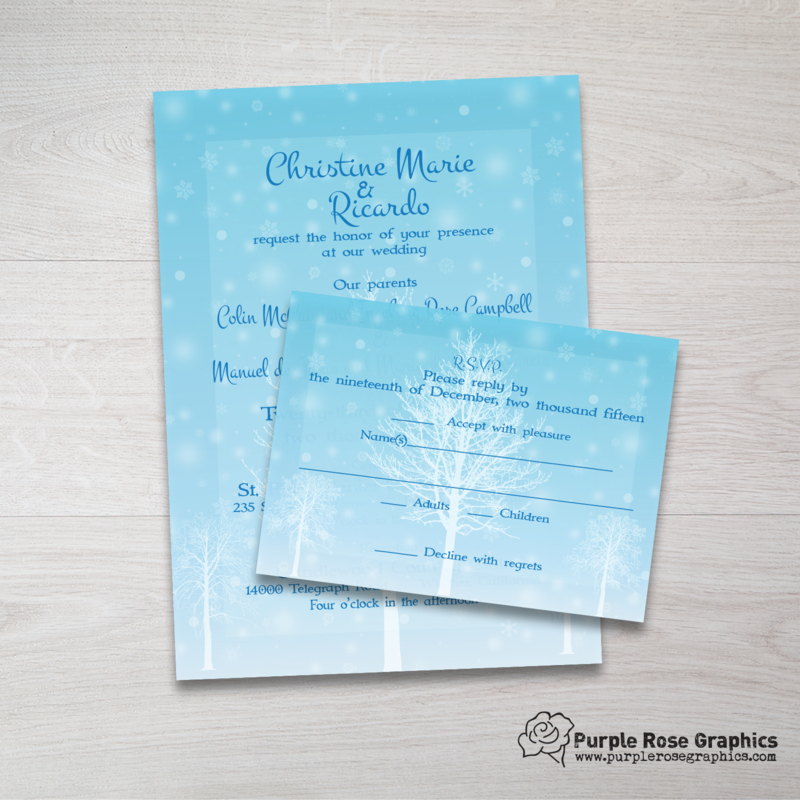 They needed invitations in English and Spanish and in a small quantity for a winter wedding. They wanted them to have an icy-wintery look to it, but still elegant. I used silhouettes of bare trees, icy blue and white tones, and a swirl of snowflakes to give them the invite of their dreams.